For other people named Thomas Andrews, see Thomas Andrews (disambiguation). Thomas Andrews, Jr. (7 February 1873 – 15 April 1912) was a British businessman and shipbuilder. He was managing director and head of the drafting department of the shipbuilding company Harland and Wolff in Belfast, Ireland. Harland & Wolff Heavy Industries is a heavy industrial company, specialising in ship repair, conversion, and offshore construction, located in Belfast, Northern Ireland. Harland & Wolff is famous for having built the majority of the ships intended for the White Star Line. Well known ships built by Harland & Wolff include the Olympic-class trio: RMS Titanic, RMS Olympic and RMS Britannic, the Royal Navy's HMS Belfast, Royal Mail Line's Andes, Shaw Savill's Southern Cross, Union-Castle's RMS Pendennis Castle, and P&O's Canberra. Harland and Wolff's official history, Shipbuilders to the World, was published in 1986. 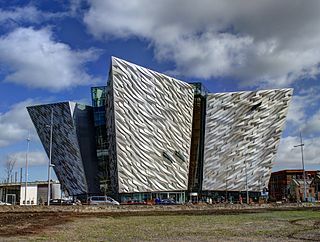 Belfast is a city in the United Kingdom, the capital city of Northern Ireland, standing on the banks of the River Lagan on the east coast of Ireland. It is the largest city in Northern Ireland and second-largest on the island of Ireland. It had a population of 333,871 as of 2015. As the naval architect in charge of the plans for the ocean liner RMS Titanic, he was travelling on board the vessel during her transatlantic maiden voyage in 1912. He perished along with more than 1,500 others when the ship sank after hitting an iceberg. His body was never recovered. Thomas (second from right) with family, circa 1895. Thomas Andrews was born at Ardara House, Comber, County Down, in Ireland, to The Rt. Hon. Thomas Andrews, a member of the Privy Council of Ireland, and Eliza Pirrie. Andrews was a Presbyterian of Scottish descent, and like his brother considered himself British. His siblings included John Miller Andrews, the future Prime Minister of Northern Ireland, and Sir James Andrews, the future Lord Chief Justice of Northern Ireland. Thomas Andrews lived with his family in Ardara, Comber. In 1884, he began attending the Royal Belfast Academical Institution until 1889 when, at the age of sixteen, he began a premium apprenticeship at Harland and Wolff where his uncle, the Viscount Pirrie, was part owner. Comber is a small town in County Down, Northern Ireland. It lies 5 miles south of Newtownards, at the northern end of Strangford Lough. It is situated in the townland of Town Parks, the civil parish of Comber and the historic barony of Castlereagh Lower. Comber is part of the Ards and North Down Borough. It is also known for Comber Whiskey which was last distilled in 1953. 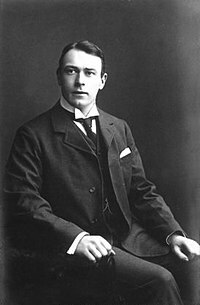 A notable native was Thomas Andrews, the designer of the RMS Titanic and was among the many who went down with her. It had a population of 9,078 people in the 2011 Census. County Down is one of six counties that form Northern Ireland, in the northeast of the island of Ireland. It covers an area of 2,448 km2 and has a population of 531,665. It is also one of the thirty-two traditional counties of Ireland and is within the province of Ulster. It borders County Antrim to the north, the Irish Sea to the east, County Armagh to the west, and County Louth across Carlingford Lough to the southwest. The Right Honourable is an honorific style traditionally applied to certain persons and collective bodies in the United Kingdom, Canada, Australia, New Zealand, Fiji, some other Commonwealth realms, the English-speaking Caribbean, Mauritius, Zimbabwe, and occasionally elsewhere. The term is predominantly used today as a style associated with the holding of certain senior public offices in the United Kingdom, Canada, and New Zealand. At Harland and Wolff, he began with three months in the joiners' shop, followed by a month in the cabinetmakers' and then a further two months working on the ships. The last eighteen months of his five-year apprenticeship were spent in the drawing office. 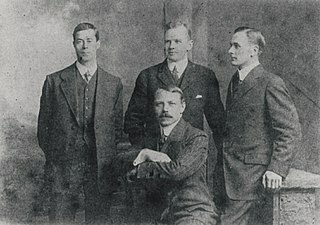 In 1901, Andrews, after working his way up through the many departments of the company, became the manager of the construction works. That same year, he also became a member of the Institution of Naval Architects. In 1907, Andrews was appointed the managing director and head of the drafting department at Harland and Wolff. During his long years of apprenticeship, study, and work, Andrews had become well liked in the company and amongst the shipyard's employees. An apprenticeship is a system of training a new generation of practitioners of a trade or profession with on-the-job training and often some accompanying study. Apprenticeship also enables practitioners to gain a license to practice in a regulated profession. Most of their training is done while working for an employer who helps the apprentices learn their trade or profession, in exchange for their continued labor for an agreed period after they have achieved measurable competencies. Apprenticeships typically last 3 to 7 years. People who successfully complete an apprenticeship reach the "journeyman" or professional certification level of competence. The Royal Institution of Naval Architects is an international organisation representing naval architects. It is an elite international professional institution based in London. Its members are involved worldwide at all levels in the design, construction, repair and operation of ships, boats and marine structures. Members are elected by the council and are presented with the titles AssocRINA (Associate), AMRINA, MRINA (Member) and FRINA (Fellow) depending on their membership type. These title are usually suffixed after the name of the member. On 24 June 1908, he married Helen Reilly Barbour, daughter of textile industrialist John Doherty Barbour and sister to Sir John Milne Barbour- known as "Milne". Their daughter, Elizabeth Law-Barbour Andrews (known by her initials, "ELBA"), was born on 27 November 1910. The couple lived at Dunallan, 20 Windsor Avenue, Belfast. It is known that Andrews took Helen to view the RMS Titanic one night, shortly before Elizabeth was born. After Thomas's death, Helen remarried; she died 22 August 1966 in Northern Ireland and is buried in the Barbour family mausoleum at Lambeg. 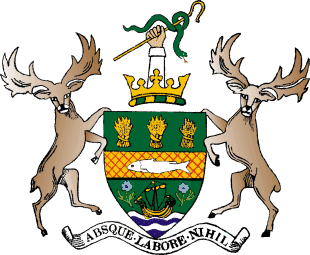 Sir John Milne Barbour, 1st Baronet JP, DL was a Northern Irish politician and baronet. As a member of the Privy Council of Northern Ireland he was styled The Right Honourable Sir Milne Barbour. 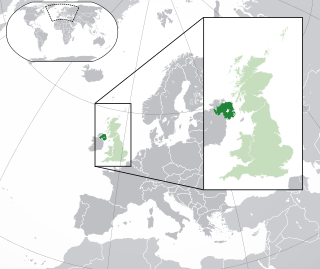 Northern Ireland is a part of the United Kingdom in the north-east of the island of Ireland, variously described as a country, province or region. Northern Ireland shares a border to the south and west with the Republic of Ireland. In 2011, its population was 1,810,863, constituting about 30% of the island's total population and about 3% of the UK's population. Established by the Northern Ireland Act 1998 as part of the Good Friday Agreement, the Northern Ireland Assembly holds responsibility for a range of devolved policy matters, while other areas are reserved for the British government. Northern Ireland co-operates with the Republic of Ireland in some areas, and the Agreement granted the Republic the ability to "put forward views and proposals" with "determined efforts to resolve disagreements between the two governments". William James Pirrie, 1st Viscount Pirrie, KP, PC, PC (Ire), was a leading British shipbuilder and businessman. He was chairman of Harland and Wolff, shipbuilders, between 1895 and 1924, and also served as Lord Mayor of Belfast between 1896 and 1898. He was ennobled as Baron Pirrie in 1906, appointed a Knight of the Order of St Patrick in 1908 and made Viscount Pirrie in 1921. In the months leading up to the 1912 Titanic disaster, Lord Pirrie was questioned about the number of life boats aboard the Olympic-class ships. He responded that the great ships were unsinkable and the rafts were to save others. This would haunt him forever. Andrews headed a group of Harland and Wolff workers who went on the maiden voyages of the ships built by the company (the guarantee group), to observe ship operations and spot any necessary improvements. 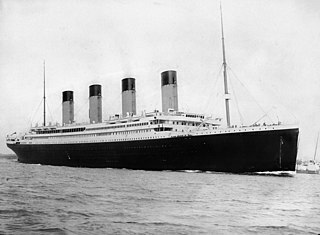 The Titanic was no exception, so Andrews and the rest of his Harland and Wolff group travelled from Belfast to Southampton on Titanic for the beginning of her maiden voyage on 10 April 1912. During the voyage, Andrews took notes on various improvements he felt were needed, primarily cosmetic changes to various facilities. However, on 14 April, Andrews remarked to a friend that Titanic was "as nearly perfect as human brains can make her." On 14 April at 11:40 PM, the Titanic struck an iceberg on the ship's starboard side. Andrews had been in his stateroom, planning changes he wanted to make to the ship, and barely noticed the collision. Captain Edward J. Smith had Andrews summoned to help examine the damage. Andrews and Captain Smith discussed the damage to the ship shortly after midnight after Andrews had toured the damaged section of the ship and received several reports of the vessel's damage. Andrews determined that the first five of the ship's watertight compartments were rapidly flooding. Andrews knew that if more than four of the ship's forward compartments flooded, it would inevitably sink. He relayed this information to Captain Smith, stating that it was a 'mathematical certainty', and adding that in his opinion, the vessel had only about an hour before it completely sank. He also informed Smith of the severe shortage of lifeboats on board the ship. As the evacuation of the Titanic began, Andrews tirelessly searched staterooms telling the passengers to put on lifebelts and go up on deck. Several survivors testified to have met or spotted Andrews several times. Fully aware of the short time the ship had left and of the lack of lifeboat space for all passengers and crew, he continued to urge reluctant people into the lifeboats in the hope of filling them with as many people as possible. Andrews was reportedly last seen in the first-class smoking room, although this has been disputed. Although this has become one of the most famous legends of the sinking of the Titanic – published in a 1912 book (Thomas Andrews: Shipbuilder by Shan Bullock) and thereby perpetuated – Stewart, in fact, left the ship in a lifeboat at approximately 1:40 a.m.,  half an hour before his reputed sighting of Andrews. There were testimonies of sightings of Andrews after that moment. It appears that Andrews stayed in the smoking room for some time, then continued assisting with the evacuation. At around 2:00 a.m., he was seen back on the boat deck. The crowd had begun to stir, but there were still women reluctant to leave the ship. To be heard and to draw attention to himself, Andrews waved his arms and announced to them in a loud voice. Another reported sighting was of Andrews frantically throwing deck chairs into the ocean for passengers to cling to in the water, though he may have been mistaken for chief baker Charles Joughin, who survived the sinking and reported doing the same thing. He then headed towards the bridge, perhaps in search of Captain Smith. Andrews was last seen leaving the ship in its final moments. His body was never recovered. On 19 April 1912, his father received a telegram from his mother's cousin, who had spoken with survivors in New York: "INTERVIEW TITANIC'S OFFICERS. ALL UNANIMOUS THAT ANDREWS HEROIC UNTO DEATH, THINKING ONLY SAFETY OTHERS. EXTEND HEARTFELT SYMPATHY TO ALL." Newspaper accounts of the disaster labelled Andrews a hero. Mary Sloan, a stewardess on the ship, whom Andrews persuaded to enter a lifeboat, later wrote in a letter: "Mr. Andrews met his fate like a true hero, realising the great danger, and gave up his life to save the women and children of the Titanic. They will find it hard to replace him." A short biography was produced within the year by Shan Bullock at the request of Sir Horace Plunkett, a member of Parliament, who felt that Andrews' life was worthy of being memorialised. In his home town, Comber, one of the earliest and most substantial memorials for a single victim of the Titanic disaster was built. The Thomas Andrews Jr. Memorial Hall was opened in January 1914. The architects were Young and McKenzie with sculpted work by the artist Sophia Rosamond Praeger. The hall is now maintained by the South Eastern Education Board and used by The Andrews Memorial Primary School. An Ulster History Circle blue plaque is located on his house in Windsor Avenue, Belfast. John Miller Andrews was the second Prime Minister of Northern Ireland. S.O.S. Titanic is a British-American 1979 television movie that depicts the doomed 1912 maiden voyage from the perspective of three distinct groups of passengers in First, Second, and Third Class. The script was written by James Costigan and directed by William Hale. It is the first Titanic film filmed and released in color. 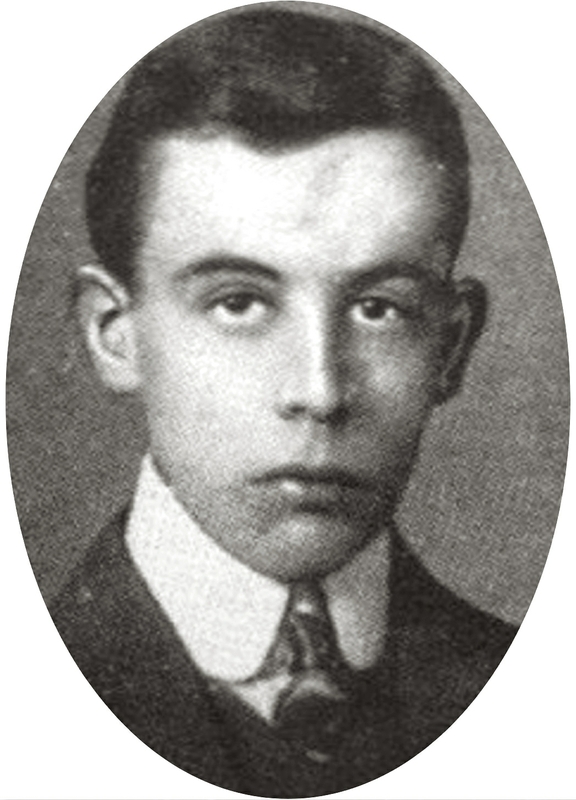 Sub-lieutenant James Paul Moody, RNR was the Sixth Officer of the RMS Titanic and the only junior officer to die when the ship sank on her maiden voyage. 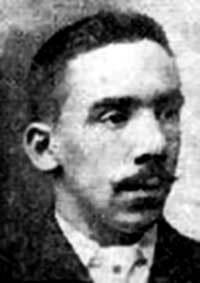 Thomas Roussel Davids Byles was an English Catholic priest who was a passenger aboard the RMS Titanic on its maiden voyage when it sank after striking an iceberg during the night of 15 April 1912. He was reported as being amidst the throng of trapped passengers on the ship's rear deck in its final moments of descent, audibly praying. Charles John Joughin was the chief baker aboard the RMS Titanic. He survived the ship's sinking, and became notable for having survived in the frigid water for an exceptionally long time before being pulled onto the overturned Collapsible B lifeboat with virtually no ill effects. TitanicBelfast is a visitor attraction opened in 2012, a monument to Belfast's maritime heritage on the site of the former Harland & Wolff shipyard in the city's Titanic Quarter where the RMS Titanic was built. It tells the stories of the ill-fated Titanic, which hit an iceberg and sank during her maiden voyage in 1912, and her sister ships RMS Olympic and HMHS Britannic. The building contains more than 12,000 square metres (130,000 sq ft) of floor space, most of which is occupied by a series of galleries, private function rooms and community facilities, plus the addition of Hickson’s Point destination bar in March 2018. The Titanic Memorial in Belfast was erected to commemorate the lives lost in the sinking of the RMS Titanic on 15 April 1912. It was funded by contributions from the public, shipyard workers, and victims' families, and was dedicated in June 1920. It sits on Donegall Square in central Belfast in the grounds of Belfast City Hall. Alexander Montgomery Carlisle, PC brother-in-law to Viscount Pirrie, was one of the men involved with designing the Olympic class ocean liners in the shipbuilding company Harland and Wolff. His main role of responsibility was the ships safety systems such as the watertight compartments, lifeboats, etc. As a Privy Councillor, he was known as "The Right Honorable". There have been several legends and myths surrounding the RMS Titanic over the years. These have ranged from the myth about the ship being unsinkable, to the myth concerning the final song played by the ship's orchestra. Titanic: Blood and Steel is a 12-part television costume drama series about the construction of the RMS Titanic. Produced by History Asia, it is one of two large budget television dramas aired in April 2012, the centenary of the disaster; the other is Titanic. 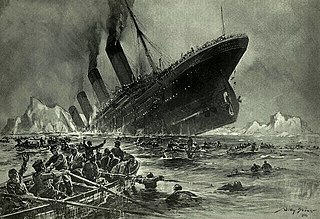 The sinking of the RMS Titanic on 15 April 1912 resulted in an inquiry by the British Wreck Commissioner on behalf of the British Board of Trade. The inquiry was overseen by High Court judge Lord Mersey, and was held in London from 2 May to 3 July 1912. The hearings took place mainly at the London Scottish Drill Hall, at 59 Buckingham Gate, London SW1. Frederick William "Fred" Barrett is best known as a survivor of the 1912 sinking of RMS Titanic in Lifeboat No. 13. Roderick Chisholm was a Scottish designer; together with Thomas Andrews, he was co-designer of the RMS Titanic. He died in the night of the famous transatlantic disaster. ↑ "Thomas Andrews – A Talented Designer That Met With A Tragic Fate". Titanicuniverse.com. 16 September 2014. Retrieved 15 June 2017. ↑ Eaton & Haas 1994, p. 155. ↑ The painting is often incorrectly shown on television and in movies as depicting the entrance to New York Harbor. ↑ British Wreck Commissioner's Inquiry Day 6 – Testimony of Charles Joughin, Titanic Inquiry Project. Retrieved on 5 November 2017. ↑ Levy, David. "Asteroid Named for Titanic Designer Thomas Andrews". Encyclopedia Titanica . Retrieved 22 September 2017. M. A. Kribble. "Thomas Andrews: Builder of the Ship of Dreams". Thomas Andrews: Builder of the Ship of Dreams. Archived from the original on 2 February 2003. Retrieved 9 July 2005. Wikimedia Commons has media related to Thomas Andrews .